Two early-stage media scholars, co-authors Toussaint Nothias and David Cheruiyot, will be awarded the 2018 Stuart Hall Prize. The Prize is offered by the International Association for Media and Communication Research (IAMCR) in memory of Stuart Hall, and will be presented at this year’s IAMCR conference in Eugene, Oregon. The award will be made for their joint paper "A 'Hotbed' of Digital Empowerment? Media Criticism in Kenya: Between Playful Engagement and Co-option". The award ceremony will be held during the Conference’s second plenary session on 22 June at 10:30. The winning paper will be presented in IAMCR's International Communication Section on the following day at 16:00. The paper investigates the #SomeoneTellCNN social media campaign that challenged CNN's representation of Kenya. The Stuart Hall Prize was established at IAMCR's Hyderabad Conference in 2014 to celebrate his lasting contribution to scholarship in communication and culture, and to commemorate his world renowned and exemplary work. The award is made for a scholarly paper with an innovative theoretical foundation, combining analytical excellence and an evident engagement with the interventionist, critical attributes that marked Stuart Hall's contribution to the study of media, communication, culture and political science. The paper must be accepted for presentation to a section or working group at the upcoming IAMCR conference. In announcing the decision, Committee Chair Hopeton Dunn highlighted excerpts from the individual reports of the judges, which offering insights into the character and merits of the paper. Toussaint Nothias is a lecturer in the Center for African Studies at Stanford University. In September 2018, he will start a postdoctoral fellowship in the Digital Civil Society Lab to explore the impact of Facebook’s Free Basics platform across Africa. He holds a PhD from the School of Media and Communication, University of Leeds. 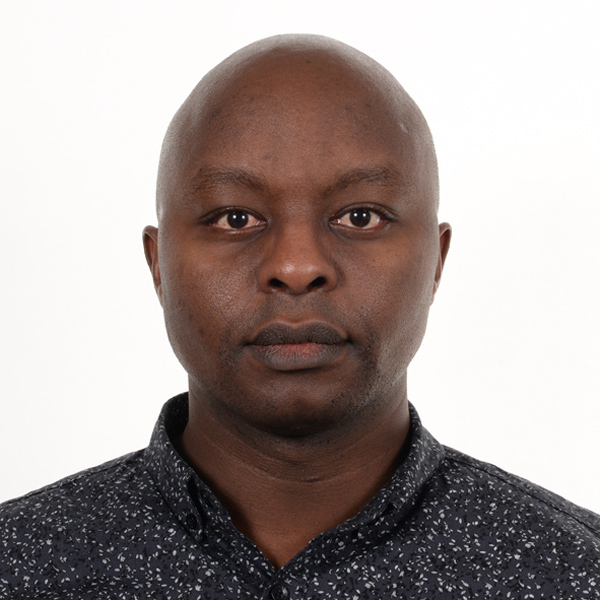 His research interests are located at the intersection of journalism and cultural studies, postcolonial theory, discourse analysis and African studies. In particular, Toussaint focuses on the impact of colonial power relations on contemporary journalistic practices, and on representations of Africa in global media. He is currently co-investigator on a British Academy funded project “Contested discourses of Africa Rising” and he recently organized the pre-ICA conference “African Media Studies in the Digital Age”. David Cheruiyot is a PhD candidate at the Department of Geography, Media and Communication in Karlstad University, Sweden. David’s studentship is part of the Ander Centre for Research on News and Opinion in the Digital Era (NODE) at Karlstad University. His dissertation examines media criticism on social media and blogs and its implications for journalism practice in Kenya and South Africa. David has won two top paper awards at the International Communication Association (ICA) conferences and is currently a representative of students and early-career scholars, who are members of the association. His research interests include, media accountability, media representation, blogging and citizen journalism, data journalism as well as communication for social change. Much has been written about the production and textual features of international media portrayal of Africa, but very little about how audiences within the continent perceive such coverage. We fill this gap by investigating a campaign led by Kenyans on Twitter to challenge CNN’s portrayal of their country. Our analysis of the most prominent tweets, images, and users, reveals the various strategies adopted by Kenyan audiences to criticize Western representations. This criticism, we argue, constitutes a form of meta-journalistic discourse, which should not be reduced to single story of digital empowerment. While contesting long-standing stereotypes and inequalities shaping global narratives, this criticism recreated an image of Kenya aligned with a corporate project of nation branding that essentially uplifted the voices and perspectives of digitally connected Nairobi-based elites. In conclusion, we call for greater consideration of the interplay of global and local power relations in which such digital practices are embedded. Stuart Hall was born in Kingston, Jamaica on February 3, 1932 and attended Jamaica College. He won the Rhodes Scholarship and left Jamaica in 1951 to study in Merton College at Oxford University in England. His experiences and analyses of race, popular culture and anti-colonial struggles fashioned his early scholarship, leading to an exceptional and distinguished career in cultural studies, communication theories, political activism and public broadcasting. Hall's theoretical constructs, including original and influential ideas on Encoding and Decoding in communication discourses, Multiculturalism and Ethnicity in Sociology and his re-conceptualization of Reception Theory, among others, all earned him wide respect and admiration by several generations of academics and communication scholars around the world. Stuart Hall's early scholarship, delivered from the perspective of the political left, was sustained and advanced to new levels after he moved to Birmingham in the British Midlands. There, under the leadership of writer and academic Richard Hoggart, he served as a Research Fellow and later Director of the Centre for Contemporary Cultural Studies at Birmingham University. Hall is regarded as the founder of the modern discipline of 'Cultural Studies'. He developed an impressive body of work on issues of cultural hegemony, identity and communication. He became Professor of Sociology at the Open University in the UK in 1979, remaining there until 1998, when he retired in the capacity of Professor Emeritus. Hall remained active as a broadcaster, critical scholar and leading intellectual throughout his retirement, until his death on February 10, 2014, one week after his 82nd birthday. See the videos of the plenary session held in tribute to Stuart Hall at IAMCR's 2014 conference in Hyderabad, India.